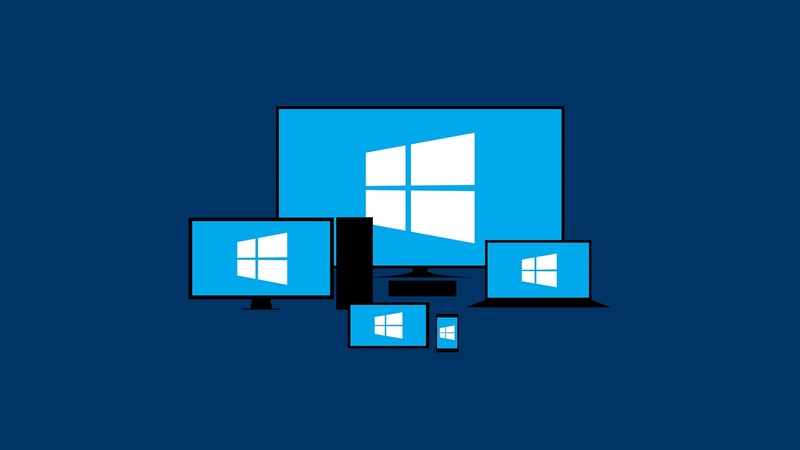 Microsoft has launched a new Windows 10 Insider Preview build today, bringing a pretty standard collection of new features, bug fixes, and known issues to those who are currently on the Fast Ring. The main new feature that Windows 10 build 10565 brings is proper Skype integration. Through the built-in Messaging and Phone apps, as well as through the Skype app, Windows 10 users can now message, call and video chat with their Skype contacts in a seamless fashion. You can even quick reply to messages through the Windows 10 action center without opening the Skype app. Microsoft Edge gets two new features in build 10565: Tab Preview, which shows previews of webpages when you hover over open tabs; and the ability to sync your favorites and reading list between devices. The latter feature is still a work in progress, but it should at least work in this new build. Cortana can now understand inked notes that you've taken on a pen- or touch-enabled device, which allows the digital assistant to set reminders based on what you've inked. You'll also be reminded of movie times and other ticketed events based on email confirmations, with Cortana providing information two hours ahead of time on how to get to your event on time. And finally, Windows 10 build 10565 brings several UI improvements, including more vibrant title bars, improved context menus in the Start menu, and new icons for devices and the Registry Editor. If you're an Insider and want to check out the latest Windows 10 Preview build, this new build should be available through Windows Update now, provided you're on the Fast Ring. Windows: slowly but surely moving back to a UI paradigm that actually sells. Tiles on the desktop and icons with more than two colors are probably a year away. Dare we hope for the day the hated "ribbon" is optional? Preview ? ehm, I thought win10 was final no wonder its still unstable, when its on beta. ill just stick to win 8.1 till win 10 final is out. Meh, nothing of any interest to me there. This if for insiders only who want to preview the newest build which will be available to the public in 10.1. Optional. 10 just as stable as 8.1.
it's a preview of the TH2 release that is coming later this year. so far TH2 is looking to be a good update for win10. 10.1 ? another lie from ms they said win10 would be final and last windows. only updates would be added, not more version numbers but since it will be like that, I think ill just wait for win 11 really dont like win 10 after what it did on my system. I got a hijacker through edge and it was still there after I logged in my ms account after going back to win 8.1. even games that never lagged, started to really lag on random times, in win 10. with the newest drivers and gfx driver installed. No such thing as 10.1 .. it is just 10. Attended a conference last week where someone from Microsoft answered that question quite bluntly and clearly. There will be Threshold updates every 3 months, but no Service Packs. The only reason for this new "last operating system ever" is because Microsoft has realized the real dangerous and detrimental effects to producing a very successful operating system, I.e., Windows 7. This way Microsoft creates a blurring effect so that nobody can stay anywhere over a short window of time. The life expectancy of Windows 10 is about 10 years I think. Although, I don't really know what happens after that. The moment they declare that, "Hey Windows 10 is fully baked, you can take it out of the oven now" they create a red-line that people may not wanna cross as the operating system continues to morph. I have to honestly say that I just updated to the 10565 build and I am not hating the UX as much in the past. I think Windows 10 is a success in a lot of ways. The Start Menu is a total disaster in my opinion but I think I understand what they were going for now. The integration with Cortana is what the tiles on the Start Menu are all about (my opinion). But the Start Menu seems constrained to me still. I like some of the simplistic theme going on in Windows 10 but I think it's overdone in some places. I want Windows 10 overall look to be less "square". Optional round corners on applications and the start menu would be nice. I finally installed one of those highly praised Classic Start Menu applications and I like it. But the one thing I do not like is the new reality that Windows 10 is now a living breathing constantly changing, morphing organism, that will change from day to day, week to week, month to month, and year to year. Microsoft has quietly solved the problem of anyone "clinging" to a previous operating system. I can see them all now at the water cooler all snickering and patting themselves on the back. "Good job team!". The elephants in the room are the mathematically Unix-derived operating systems from Apple, Linux and Android. All these operating systems can use the x86-64 codes preferred by Intel, but the ARM codes are increasingly being used by Apple and Android. Moore's Law seems to indicate the micro-computing world that Microsoft Windows won will be replaced soon by the ARM-smart-device units being developed for Android-based operating systems. Seems to me that eye-candy wars are being won by the open operating systems based on Linux (Including Android). Microsoft Windows is in great danger of losing the many computing fronts to Linux: servers, personal units, and the IoT (Internet of Things). Are we are now witnessing the death stages of Microsoft and Intel? You have got to be joking! Their business may shift but they are long ways from dead, expecially Intel.